After a week of storms and cloud-shrouded, wind-battered mountains it was a relief to see sunshine and summits. From Strath Carron the Scottish Watershed takes its usual meandering course, making a big loop west over little hills then east to the isolated Munro, Fionn Bheinn, a great viewpoint for the Fannichs range, then back west again round the headwaters of the burns that feed Loch Fannich before following the crest of the Fannichs eastwards. 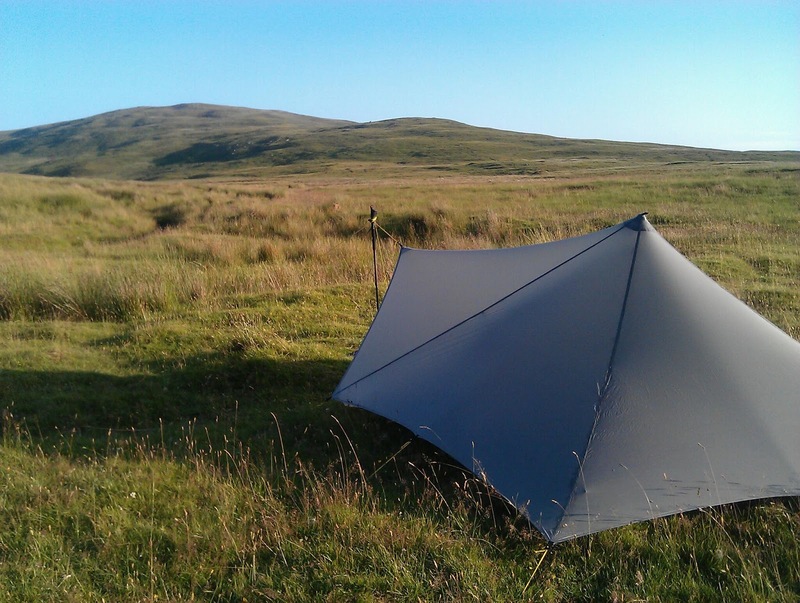 Two days of hot sunshine filtered through high thin clouds led to Fionn Bheinn, then a camp below the little known hill called Groban. From here I crossed the high tops of the Fannichs, first in sunshine, then in cloud and drizzle. 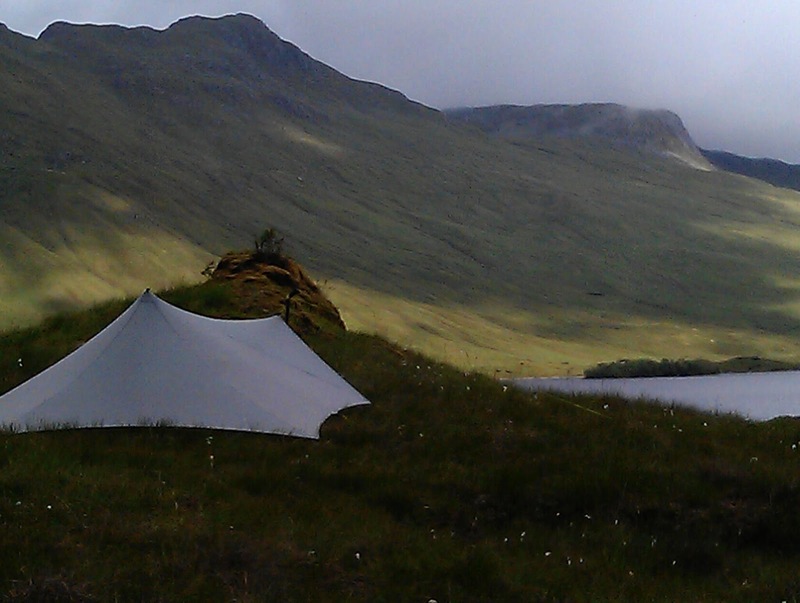 Hoping for a clearance I camped high, just below Beinn Liath Mhor Fannaich. The next morning I was rewarded for camping in a wet cloud with a wonderful cloud inversion. Only a few metres below me all was thick mist. 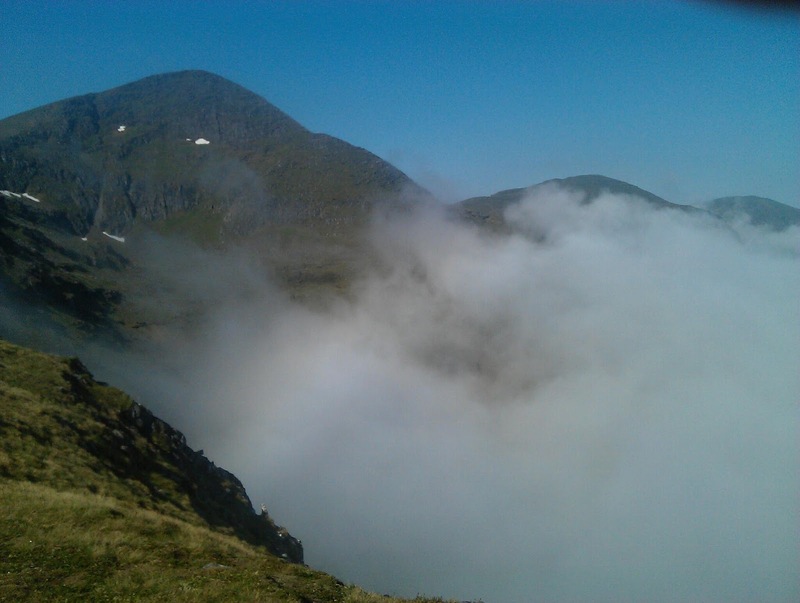 Above Sgurr Mor, the highest of the Fannichs, rose into a blue sky. It was the finest morning of the walk.